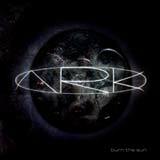 After the sensational Pain Of Salvation (The Perfect Element) out last fall, this is now the turn of Ark to deliver an original and fresh packed bomb ! Their first record did not interest me that much, I listened to it a couple of times and I wasn't attracted to this unstructured prog metal. But Burn The Sun is another story... never before in metal did so much style and originality mix this way (but is it really metal we're talking about here?). Influences are as numerous as songs, and even if songs like Burn The Sun appears as metallic attacks, other songs like Absolute Zero reminds Björk jamming with Mike Portnoy at a Dream Theater live concert. Just A Little could be seen as Funk Metal with its Spanish-like acoustic guitar melodies. We'll also retain the wonderful ballad that ends this record : Missing You, reminding me Kansas and their best moments. Excellent production and well done design for the the visual part of the record. It is certain that Ark doesn't address themselves to pure heavy-metal fans, and that open-mind is required to approach this disc which revolutionize the musical scene with brio and diversity !